Jellyfish – nice to look at, but they pack a bit of a sting in the tail. 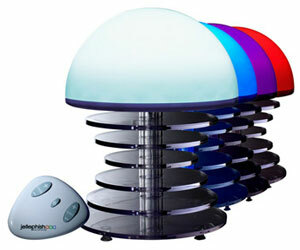 Well now you can not only look at a jellyfish shaped mood light, it will change colours and best of all not sting you! It also features sound-to-light; jellyfish can’t do that (yet).